Havana Horses is a natural horse riding school, located on the outskirts of Salatiga, centrally positioned between Yogyakarta, Semarang and Solo on Central Java, Indonesia (see also: Location and for a map Where to find us). Our robust and surefooted horses - of local breed and crossed with thoroughbred - are kept, fed and trained the natural way. Our horses live outside 24/7 in herds, eat the naturally available grasses and hay, go barefoot, and we train our horses using natural horsemanship methods. 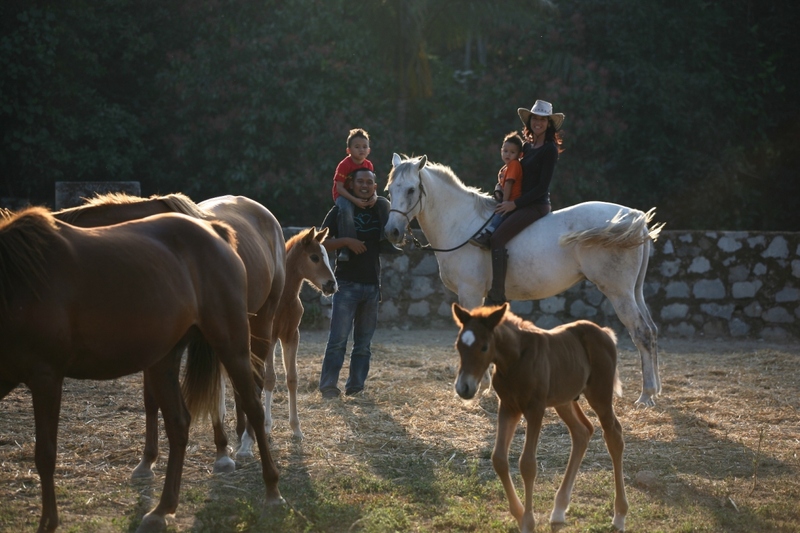 We ride our horses without bit, spurs or any other means of force; at Havana Horses you learn how to communicate with your horse and become equal partners. As from 2007 people from all over the world enjoy lessons, courses, trail rides and horsey holidays at Havana Horses in Salatiga. Havana Horses is run by horse trainers and instructors Havedz Nugroho and Anna van Rheeden. Watch this video on Youtube that one of our guests made after her visit in September 2014! Havana Horses has been featuring in several magazines through the years. Read the articles here! We are listed on Riding vacations & Stable Mates; choose Indonesia.